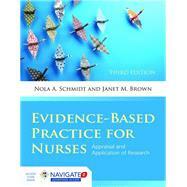 Chapter1 What Is Evidence-Based Practice? Chapter13 What Do the Quantitative Data Mean? Chapter14 What Do the Qualitative Data Mean?